Great success stories begin with modest beginnings and even greater vision. Ours is no different. Thinking ahead and steady building over the years has been the roadmap of our success. Maskati Bros & Co. B.S.C. (c)., has emerged as a force to reckon with in the paper conversion and polyethylene processing industries in the entire Gulf region. Our current annual production is over 75,000 tons of various paper and plastic products from our state-of-the-art plants in the Kingdom of Bahrain. 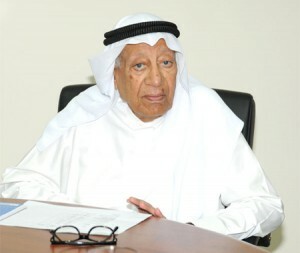 The Company was founded by the late Mr. Hussain Al Maskati in 1956. Mr. Hussain Al Maskati imbibed the company’s core philosophy that success lies in identifying needs and meeting them through quality products and high performance! Over the years, the Company has grown and expanded its product range, and today offers a wide range of high quality paper and plastic products for the catering and food processing / packing industries throughout the Gulf region catering to myriad needs aided by a large sales network that has consolidated its regional footprint. Our products are sold directly or through wholesalers and distributors, which are used by a wide range of clients, from the large international organizations, government organizations, hospitals, fast food chains and food processors, to the small independent consumers – and more importantly to millions of consumers. The range of disposables is extensive and adheres to the highest environmental standards. We always keep developing our products, from the processing techniques to the finishing stages, supported by a highly qualified team of engineers and marketing experts. At the same time, the focus is on training and development of our human resources to respond to our valued customers’ growing demand. Maskati Bros & Co. B.S.C. (c). consistently stands for the high performance and the quality products labeled: “Made in the Kingdom of Bahrain by Maskati Bros. & Co B.S.C. (c).” have become immensely popular across the region. We shall continue to grow the same way, as we have done during all those decades delivering quality products that meet customer expectations!